In a bowl mix eggs with onion, green peppers, salt, pepper and garlic powder. 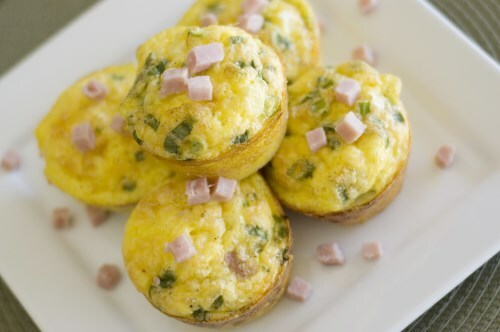 Stir in ham and cheese. Spoon 1/3 cupfuls into greased muffin cups. Bake at 350°F for 20-25 minutes or until a knife inserted comes out clean.